The essential health and beauty product. 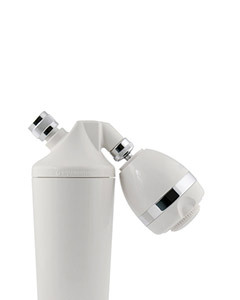 Shower Filter with Handheld Wand is rated 4.4 out of 5 by 988. Reduce your skin's exposure to harsh chlorine and synthetic chemicals that can cause skin damage and excessive drying. 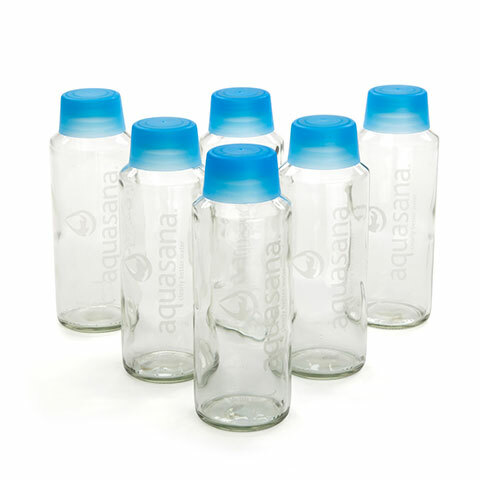 Shower in Aquasana filtered water for noticeably softer, more moisturized skin. One of the most important things you can do for hair is to wash it with filtered, chlorine-free water. Your hair will be noticeably softer and shinier, your scalp will be healthier and your color will stay true and last longer. 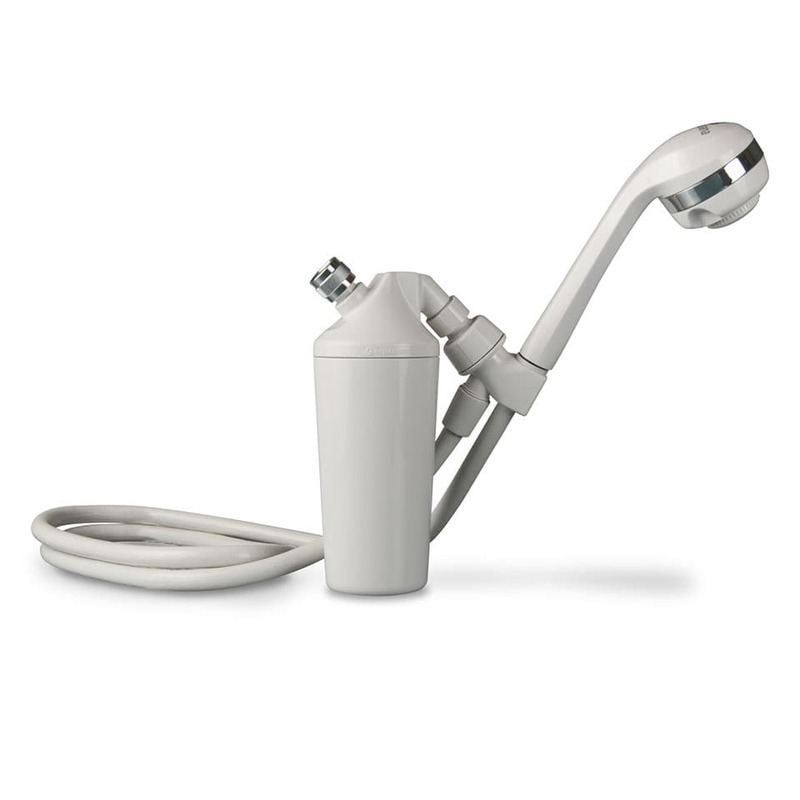 Choose from our premium massaging shower head or premium massaging handheld wand for multiple massage settings to customize your shower experience. 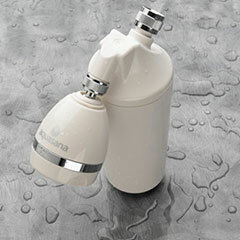 The Aquasana Shower Filter also works with most 2.5 GPM shower heads so you can keep your own shower head. Natural coconut shell carbon filters out chlorine and other harsh chemicals, while copper/zinc media further reduces chlorine and enhances water pH balance. The Aquasana shower filter improves air quality, enhances water pH and removes over 90% of chlorine for the healthiest shower experience. Please see our Performance Data Sheet for complete test results. Attaches easily to shower pipe. Long lasting filters only need to be replaced twice a year. Aquasana's unique upflow design prevents media channeling and clogging, retains shower head height and water pressure, and increases water contact time with media for superior filtration and unmatched results. Naturally enhance your bath products and hair treatments. Use less shampoo, conditioner, soap and body lotions. Rated 5 out of 5 by Kirsten from Shower review I could tell right away that the mineral scent in my clean hair was gone!! Rated 5 out of 5 by Willyums from Excellent Purchase I am so happy with my shower water filter and handheld wand. It works terrific. Was easy for me to install and my hair and skin feel so much better. My hair had been getting darker with each wash as it is blonde. My hair now is not only softer but it is keeping its color very well. I am so happy that I got this product!!! 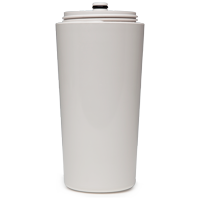 Rated 5 out of 5 by Muzo from Excellent Excellent water filter system. I enjoy the quality the water so pure thanks aquasana. Rated 5 out of 5 by Firewater Survivor from City Shower Water caused stinging sensations Needed a filter to address this startling problem ASAP. Read up on filters and found that the best solution was a dual filter that contained a charcoal component. Aquasana had a sale at the time so I decided to try their shower filter and glad I did. Product has reduced the water irritation by at least 75% so now I can take a shower with much less suffering. What is going on in the City Water is very concerning so be mindful of what quality of water you are bathing with wherever you live. Rated 5 out of 5 by DBS MD from Excellent Service and Great products! 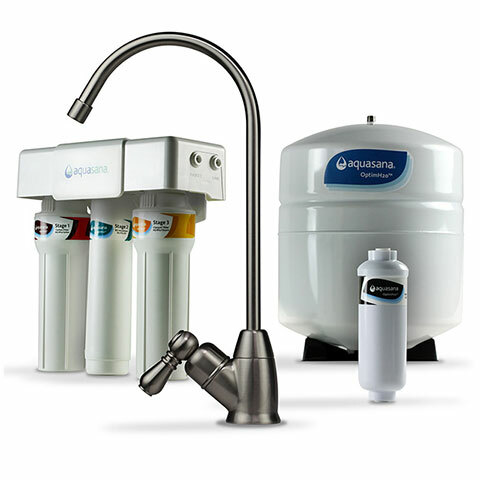 I have been using Aquasana products for 5+ years from drinking water filter to shower heads and I love your products and will continue to use knowing that they are excellent products and give my whole family clean water to drink and use. Rated 5 out of 5 by Alexia from IMPRESSED! We love our new shower filter! It's so easy to install. It makes our skin and dogs' coat softer. 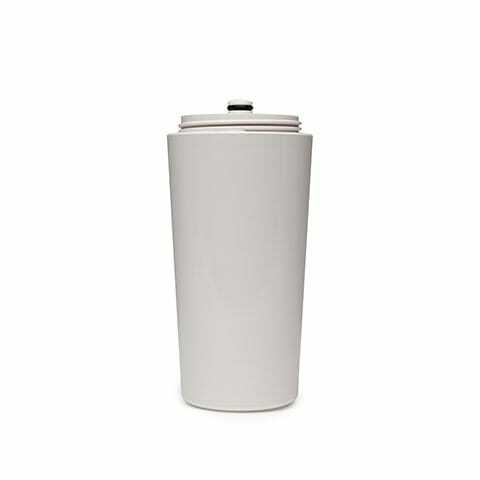 Rated 5 out of 5 by Mocha elite from Easy installation nice product and affordable Nice product, good water pressure, water feels nice. Easy installation. Rated 5 out of 5 by Outdoorgurl from LOVE THIS FILTER! Installation was super easy! Noticed a difference in how my hair felt after just a couple of days - I didn't realize how much the city water was drying out and stiffening my hair. After a few weeks we can tell a difference on our skin - not nearly as dry. I wish I had bought this sooner! 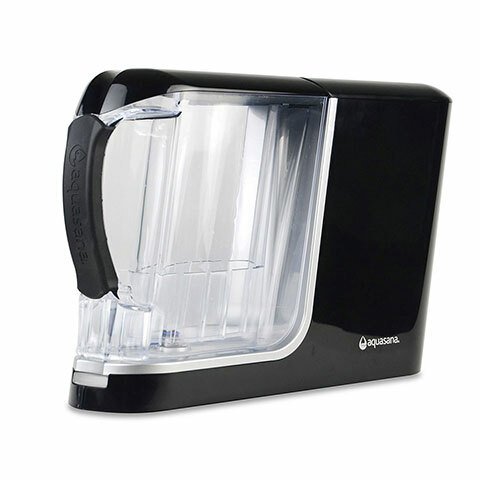 I recommended this item to my sister, and she is having the same great results. Aquasana shower systems are very easy to install, and you can do it yourself in minutes. No plumber is necessary. If you have any questions or need assistance, our technical support representatives at 866-662-6885 can walk you through the installation process. What is the flow rate of the AQ-4100, AQ-4100NSH, & AQ-4105? 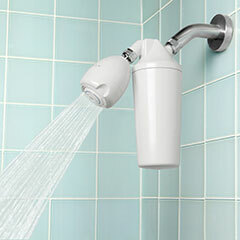 The optimum flow rate for the filter and shower head is 2.5 gallons per minute. Can I use my own shower head or hand-held wand with the AQ-4100? Yes, you can use your own shower head. 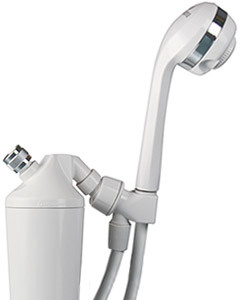 The AQ-4100NSH is the correct model for individuals using their own shower head. 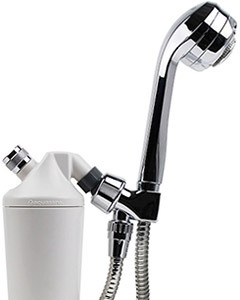 Just remember the shower head needs to have the same 1/2 inch connection as standard shower heads and the ideal flow rate would be 2.5 gallons per minute. If your shower head processes more than a 2.5 gallon flow rate per minute, the quality of filtration may degrade slightly. Increasing the flow rate by changing the shower head reduces contact time with the media and will reduce the filtration quality. If you decrease the flow rate of the system by using a different shower head, or use a shower head with a shut-off switch, you may cause damage to the system and void your warranty. Can I use the shower system for drinking water? Drinking some of the water during your shower poses no health risk. However, Aquasana does not recommend that you use the shower system as a primary drinking water source since it is not designed as a drinking system and has only been tested under shower conditions and regulations. Can I hook the shower system up under a constant pressure application? No, the shower system is designed to allow the water to consistently pass through the system as it filters. If the system is under constant pressure and unable to release the pressure introduced into the system during filtration, damage can occur to the unit. How do I know if the Aquasana shower system will fit the shower pipe coming out of my wall? Most shower connections are 1/2 inch, which means that the Aquasana shower systems will fit the shower pipe in most homes. How much chlorine does the shower system remove? Aquasana shower systems are tested to remove 91% chlorine for 10,000 gallons. How do I know how many showers it takes to use 10,000 gallons? Does this filter remove flouride? This filter is the best clean water since the seventies. You don't smell any chemicals or feel them left on your body. It leaves the body and hair soft as cotton. We have a regular shower head and a separate wand that has a separate plumbing outlet that is very close to the wall. We always use the wand and never the shower head. Can the filter be connected to the wand by the wall? Perhaps there is an adapter? How long are the filters effective? I need Uranium removed from my shower water. Do you have a shower filter that removes Uranium? Does the filter that also removes chloramines remove volatile organic compounds such as pesticides and herbicies? Hi, yes this product will eliminate all Chloride components and chemicals. I am looking for a shower filter that specifically reduces lead in the water. &nbsp;What are the specs as to lead reduction? 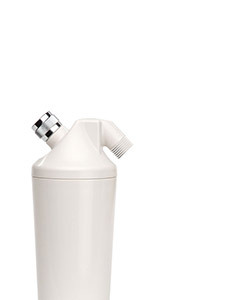 Does the Premium Shower filter get rid of chloramine? Merchandised discounts may include an additional 20% off select systems bought with Water for Life added to the online cart.